Brisbane born Danielle, is one of Australia’s most decorated Rhythmic gymnasts and the only Australian Rhythmic gymnast to win 5 All Around National Champion titles and represent Australia at 6 World Championships. As a youngster Danielle was a natural athlete and showed promise in a number of different sports including, swimming, athletics and equestrian, but it was her love of dancing and her natural flexibility that prompted her dance teacher to suggest she try rhythmic gymnastics as a way of complementing her dancing repertoire. Danielle’s journey from a budding gymnast to an Olympian began in 2003 at a gym club that used the local school hall as their training facility. She initially trained for just 2 hours a week but was quickly identified by her coaches as having the potential to excel in the sport and it was not long before she was training up to 20 hours a week. Whilst still in primary school and only a few short months after taking up the sport, Danielle chose to dress up as an Olympian for her free dress day entitled ‘what I want to be when I grow up’. And so began her Road to Rio. Winning her first State Championship title as a Junior in 2006, Danielle continued to impress the gymnastics community by finishing fourth at the Australian Youth Olympics in 2007. In 2009 she was named on her first senior team after finishing 3rd in the All Around competition at the National Championships. Danielle won her first Senior All Around National Champion title in 2011 and has won a further 4 times in 2013, 2014, 2015 & 2016, a feat that no other Australian rhythmic gymnast has achieved. In 2013, 2015 & 2016 she also won all individual apparatus National titles in Hoop, Ball, Clubs & Ribbon. She represented Australia at the Dehli 2010 and Glasgow 2014 Commonwealth Games, winning team Gold in 2010, has represented her country at 6 World Championships and 3 Pacific Rim Championships, and in 2016 won three bronze medals in the apparatus finals. Never afraid to tackle new challenges and in pursuit of her dream to represent Australia at the worlds biggest sporting event , Danielle moved to the UK for 6 months in early 2015 to train under one of the UK’s premier coaches, this move also gave her easier & affordable access to the European competition circuit where she gained valuable world class competition experience. At the 2015 World Championships in Stuttgart Germany, Danielle finished as the highest ranked Oceanic competitor. She went on to confirm her status as Australia’s top rhythmic gymnast at the 2016 National Championships by winning her 5th National All Around title and gold in all four apparatus finals. 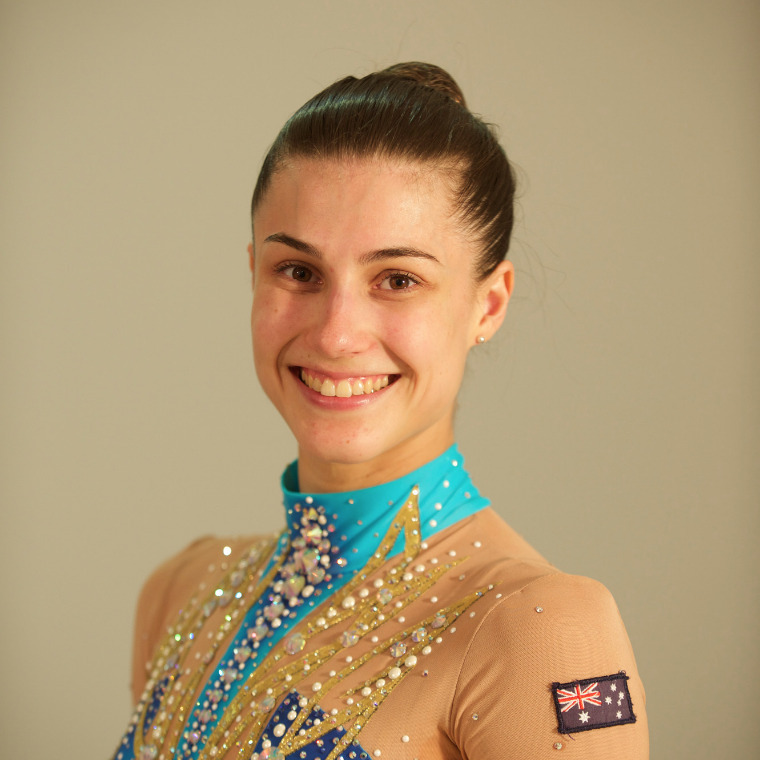 At the 2016 Rio Olympic Games, Danielle was Australia's sole representative, she performed strongly & placed 25th in the All Around competition.